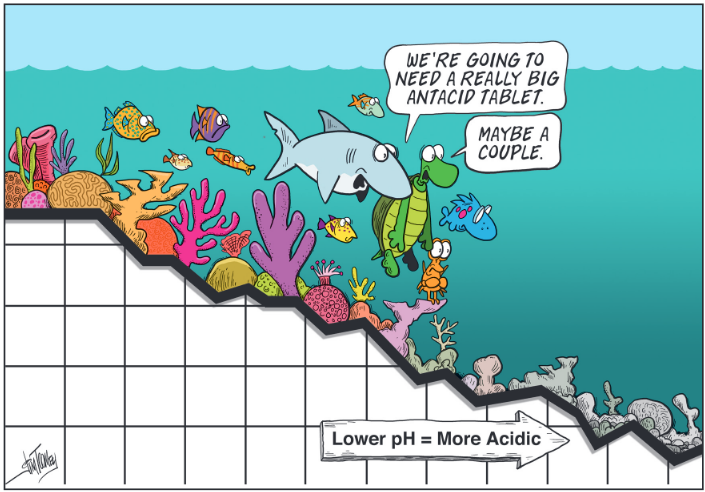 With a little help from Jim Toomey, known for his funny cartoons of “Sherman’s Lagoon“, the Pew Charitable Trust has made this Cartoon Crash Course in Ocean Acidification. Useful, if you need to memorise the basics ! ← What is going on at Green Beach ?